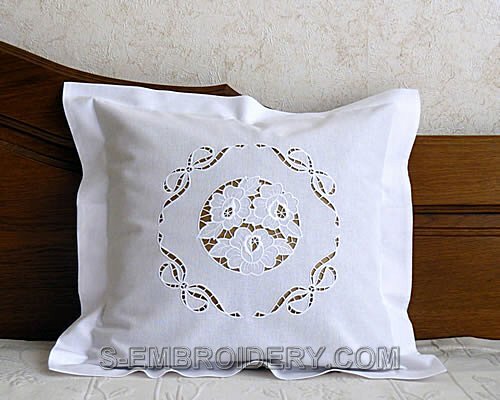 The set includes a fine rose cutwork lace embroidery design and 2 complementing lace bows. 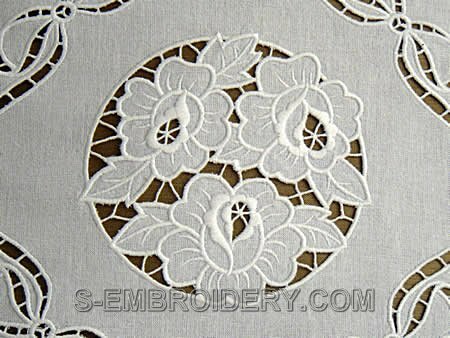 The set comes with design information and instructions for creating a cutwork lace embroidery decoration. I purchased this design and made a lovely table centre. The design stitched out beautifully. Im so impressed. Wonderful digitizing! !